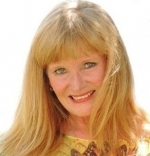 I am Sharon, I am a gifted Psychic and Medium, and reader of the Akashic Records. I am able to tap into your energy instantly as my Guides are able to share detailed messages about your life, and inspire you to clarify your choices that will help to improve your soul path. I am also gifted to read your Aura, Chakras, and your soul energy. I have been an Intuitive /clairvoyant for over fifty years and during your session my guides provide "to the point" and detailed information. Sessions (personal readings) are offered in person, by phone, chat or skype. I have been providing unparalleled professional psychic guidance worldwide for over thirty years. My accurate, skillful psychic readings have helped clients all over the world with making important life decisions. If you've experienced a loss, or are in need of guidance, or you are looking for a new direction in your life, you can finally get the answers you need to help you find success in love, health issues, soulmate, relationships, and careers. Schedule with me , I look forward to sharing with you, and finding the keys to finally unlock the doors that seem so sealed shut to you. Sharon provides private parties for every occasion. Sharon was amazing from the start. Immediately my dad dropped in and she was right on the money with his first and middle name. She began by asking for protection over both of us and the reading. She then spoke to my dad and then my dad spoke through her. She spoke to her spirit guide as well. She also took the time (for free!) to explain to me about my own gifts! There was so much more to this reading! Sharon is honest, genuine, humble, giving, and about the kindest person you'd want to meet. OMG! I am in awe from the reading I had with Sharon. I have had many psychic readings but none have ever been this accurate. It was amazing and I plan to have many sessions with her. I am glad I found this site and I am so glad to find Sharon. Her Guide is wonderful. I can't say thank you enough for the life changing message.